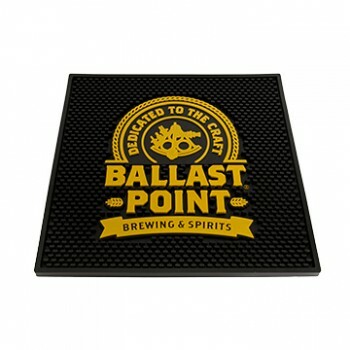 Add a touch of Ballast Point at your home bar! From Anonymous of Boston, Massachusetts on 10/27/2017 . From Ruth of Fishers, Indiana on 10/1/2017 . The bar mat a great gift for my son. It is sturdy and the logo is great. I'm very pleased with my purchase! From Alex Barnard of Chicago, Illinois on 8/7/2017 .